Paul Weller – May 2, 2008 (Oxford) Pics & Set List! – Paul Weller News! Paul Weller – May 2, 2008 (Oxford) Pics & Set List! 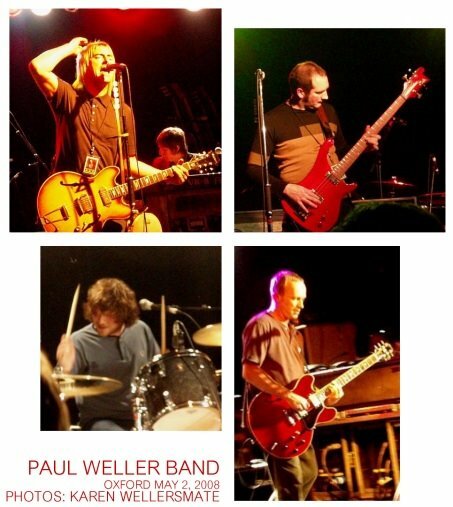 3 Comments on Paul Weller – May 2, 2008 (Oxford) Pics & Set List! From our field reporters. Cheers! Great pics..and thanks for the set list reminder.I was there that night (first time i’ve caught Paul live)For me it was magic, loved it – if anyone heard a guy shouting for ‘Running On The Spot’, it was me haha, No one else made any noise, so i thought bugger it, i’m goin too, and Paul glanced my way and grinned, made my night.The version of ‘Eaton Rifles’ was corking (bar the fluffed intro)Full credit to the new/tempory Rhythm section? They swung, and for me, were pretty bloody good, given time they will groove even more.Was great to hear lots of new tracks, this gig was clearly a paid rehearsal for the band, but hey ho, i’m not complaining.All in all, a bloody good night, bar a lot of dead pan people in the audience, but that’s another story. Saw Weller in Cork and it was amazing! The crowd, and Weller, were well up for the gig and it rocked! 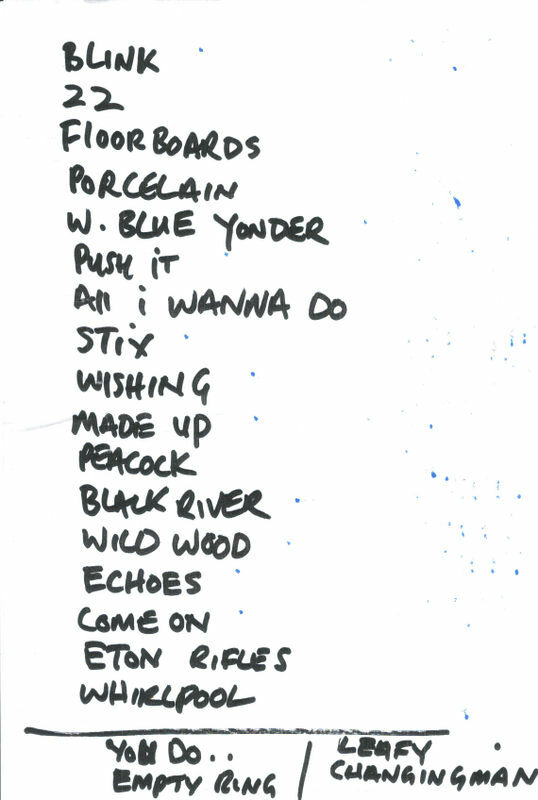 Would love to see the setlist for that night, trying to remember everything he played! Previous Entry Final Single Details For Double A Side! Next Entry Paul Weller – May 3, 2008 (Oxford) Pics & Set List!